This is Dominic. The first time we met, he would NOT make eye contact. When I crawled my finger over to his arm, he slapped me like a bug, then burst out crying. HMM lovely first meeting. 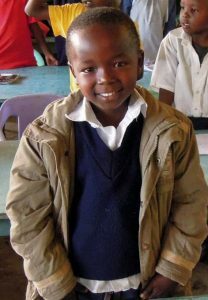 He is shown here in his first year in school at Sawa Academy. From shy to confident! 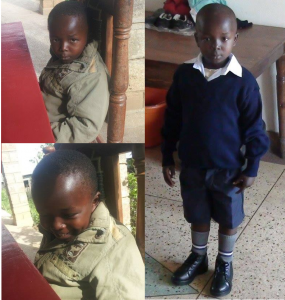 Julie, you can be soo happy that you helped this little guy! Thank you so much.